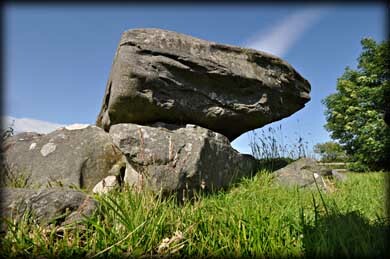 I am not sure about the correct classification for this dolmen. 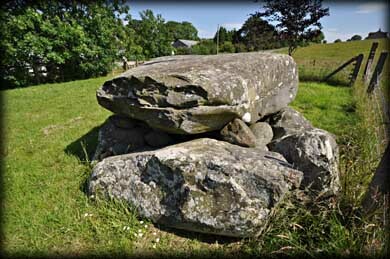 According to an 1802 account, this chamber was in the centre of a large cairn and approached along a lintelled passage. This suggests that it might be the remains of a passage tomb, but the chamber seems too low. Another theory is that it is a collapsed portal tomb. The portal stones may be missing or lying under the capstone. 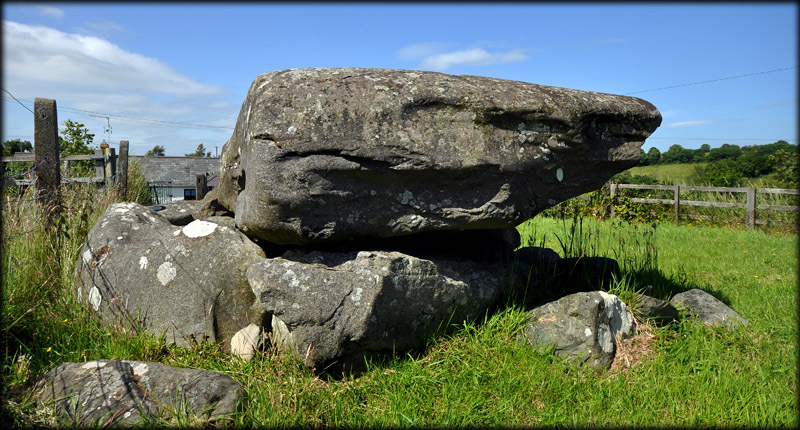 If the portal stones have fallen, then this may have been a tripod dolmen similar to two other tombs in County Down at Legananny and Ballykeel. Situated: From Dundrum, County Down, head north on the A24 for 6 miles. Then turn right for Loughinisland. 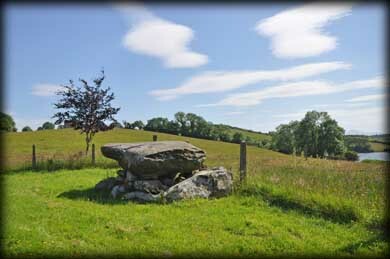 The dolmen is in the field on the right, just after the left turn for Drumaness. Discovery Map 21. J 4280 4593. Last visit July 2013.